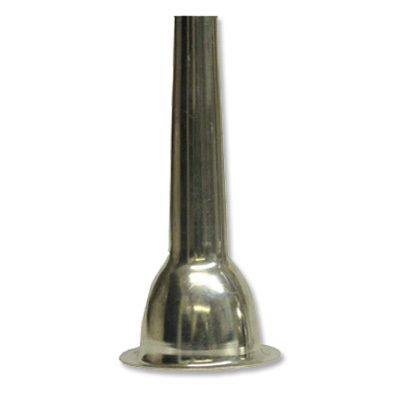 Polished spun aluminum stuffing tubes designed to fit on the end ring of meat grinder to enable you to stuff sausage casings direct from the grinder. Available for 12, 22, or 32 size meat grinders, with an outlet size of either 1/2 inch or 3/4 inch. Be sure to specify sizes required when ordering. Use 1/2 inch outlet for sheep casings. Use 3/4" outlet for hog casings.